Lady Florence Barrett wearing her CBE medal. 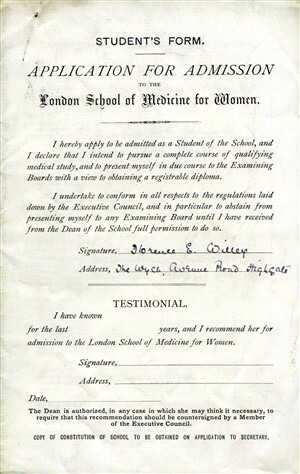 Florence Willey's application for admission to the London School of Medicine for Women, 1896. Born Florence Elizabeth Perry in Bristol in 1867, she was the daughter of the merchant Benjamin Perry. As was the case with most Victorian girls, even amongst the upper classes, her family did not prioritise her formal education; nonetheless, by her early teens she had decided to become a doctor. She studied physiology and organic chemistry at University College, Bristol, becoming BSc in 1895, Bachelor of Medicine (MB) in 1900 and a Doctor of Medicine (MD) in 1906. She was immediately appointed to the staff of the Royal Free Hospital, where she was active in developing the London School of Medicine for Women, eventually becoming its Dean and, in 1937, its president. 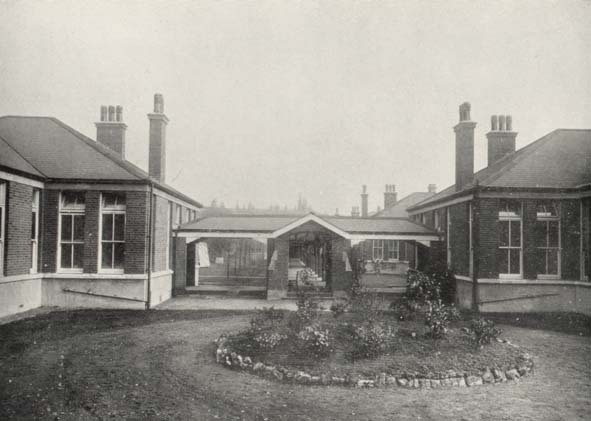 (The Royal Free was at this time the only hospital in England where women could train in medical practice.) In 1916, she was one of the leaders of a campaign to raise funds for a new extension to the hospital, which would include maternity, paediatric and infant welfare facilities. At this period she was also concerned with raising the status of the nursing profession. Before the First World War, Lady Barrett was instrumental in setting up voluntary centres in London to provide food for undernourished children and pregnant women. This was a radical idea at the time – the important differences that ante-natal nutrition could make to the health of babies was only beginning to be appreciated, and the government was not yet involved in this area. In 1916, she was one of the lecturers on a course on infant care run by the National Association for the Prevention of Infant Mortality and for the Welfare of Infancy. The course, held at the Royal Society of Medicine, was “primarily intended for Infant Welfare Workers”, though nurses and midwives were also invited to attend. Topics included “Infants’ Clothing and Infants’ Cookery”. 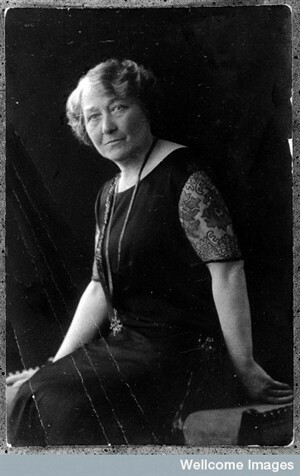 Lady Barrett, then Mrs Florence Willey, lectured on “Expectant Motherhood”, and presumably covered the new and emerging field of ante-natal health. She was at this time assistant physician for Diseases of Women at the Royal Free. Lady Barrett was made a CBE in the first list of Orders of the British Empire in 1917 - the first year that women were admitted to the order - and a member of the Order of the Companions of Honour (CH) in 1929 – a reward for outstanding achievements in the arts, literature, music, science, politics, industry, or religion (Bramwell Booth received the same award in the same list that year). Its motto: "In action faithful, in honour clear". As well as being obstetric surgeon at the Mothers’ Hospital from 1913 until her death, Lady Barrett was consulting obstetric and gynaecological surgeon to the Royal Free (where today a labour ward bears her name). She was also an honorary surgeon to the Marie Curie Hospital – in 1924 she had been one of the original team of medical women set up to investigate the therapeutic potential of radium, particularly in the treatment of cervical and uterine cancer, which led to the foundation of the hospital in 1929. During the 1920s and 1930s she published several articles, on subjects as diverse as communal restaurants, women in the Post Office Medical Department, ‘self-disinfection’ and a hospital survey of London. She published research work on menstruation and menorrhagia (heavy and prolonged menstruation) in the British Journal of Obstetrics and Gynaecology (1909), and her account of a birth complicated by hydrocephalus, eclampsia and fibroids is included in the proceedings of the Royal Society of Medicine for 1913. In 1916, she wrote a report on The Importance of Linking up all Organisations for Maternity and Child Welfare in Local Health Districts, again for the Royal Society of Medicine (see below), and in 1912 she published Diseases of Women: a Handbook for Nurses. At various times between the wars she served as medical officer for health for the counties or county boroughs, president of the Medical Women's Federation, and joint vice-president of the Obstetrics and Gynaecology Section of the British Medical Association. In 1923, Lady Barrett was sued in the High Court, an injunction being sought by a Mr Kelly to prevent her from running a nursing and maternity home at 40-42 Fitzjohns Avenue, Hampstead “in breach of restrictive covenants”. The case was dismissed. This page was added by Lisa Rigg on 21/12/2009.